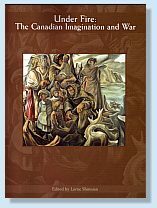 On February 12, 2003, the Department of English at the Royal Military College of Canada hosted a conference titled Under Fire: The Canadian Imagination and War. This was the first such conference of its kind and was enthusiastically received by the academic community and the general public. The essays in this collection from the conference offer an insight into this often forgotten aspect of Canadian literature and art.